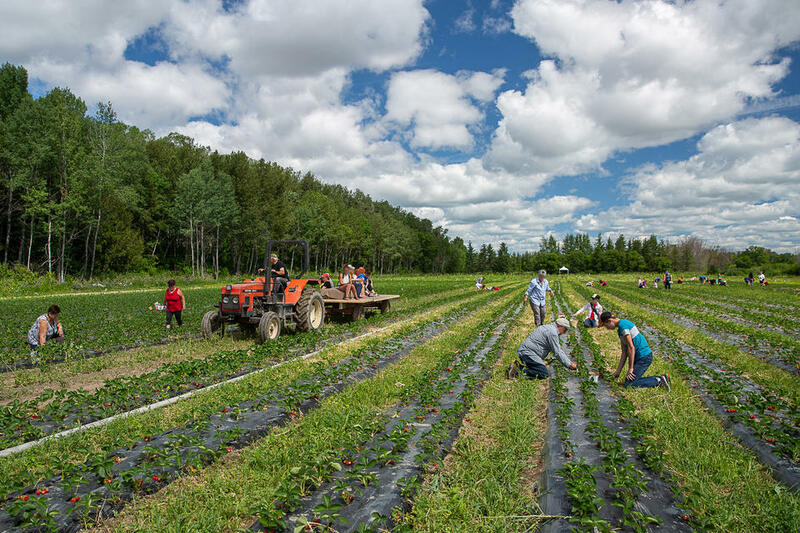 Nordvie grows strawberries, raspberries, rhubarb, and a variety of vegetables certified organic by Ecocert Canada. Pick-your-own in the summertime is allowed on the farm. This family business also specializes in the small-scale production of sparkling juices, spirits and slush. Visit our Website or social media sites for more details. Opening hours: Visit our website or our social networks for more details.